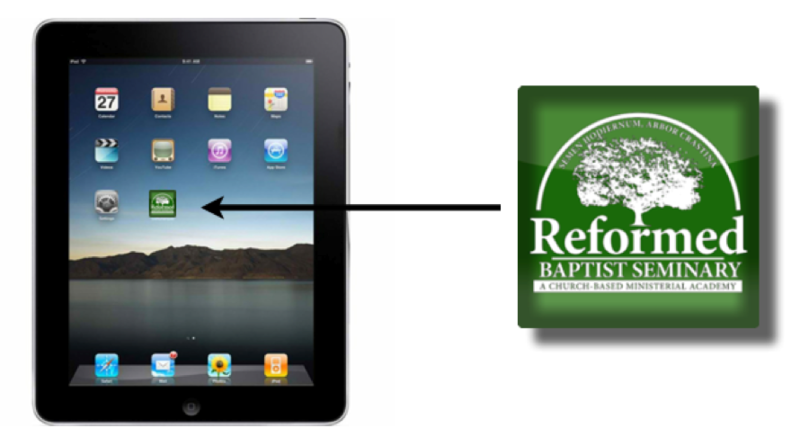 In the report below, I provide an overview of what God has enabled Reformed Baptist Seminary to accomplish with a special focus on the past year. Then I highlight the seminary’s plans for the future. RBS was founded in May 2005 as a church-based ministerial academy. Initially, the seminary was under the oversight of two local churches. Presently, three local churches govern the seminary: Grace Immanuel Reformed Baptist Church of Grand Rapids, MI; Grace Baptist Church of Taylors, SC; and Immanuel Baptist Church of Sacramento, CA. RBS also has an advisory board of pastors. The seminary exists primarily to train men for the gospel ministry (2 Tim 2:2) and secondarily to equip laypeople to serve Christ’s church more effectively (Eph 4:11-12) by providing a quality theological education in a flexible and affordable format. Courses are offered online as well as in live modular format. RBS began with nine students. Over the past several years the seminary has experienced a significant degree of growth. Presently, we have 54 students enrolled. Since the school’s founding, 23 students have graduated from either the Marrow of Theology program (14) or the more comprehensive Divinity program (9). Another student has turned in his Master’s thesis, and we expect him to graduate before the end of the year. The table below compares the seminary’s enrollment with the number of graduates over its seven years of existence. The numbers above do not include the many graduates from our international ministry in Latin America. I give those numbers below. Last year we updated our seminary website using Squarespace. This year we began upgrading our “Virtual Campus” to match the look of our new website and to utilize the latest version of Moodle learning management software. Students can login to VC with a username and password, navigate to the course they’re taking, download the syllabus, access course lectures in audio and/or video format, and take quizzes and exams online. In some cases the quizzes or exams are graded automatically by the computer. In other cases the instructor receives an email notifying him that a quiz or exam has been completed. He can click on the link in the email, login to VC, and grade the exam manually. Although there are some limitations to online learning, there are a number of advantages. It allows the student to remain under the oversight of his elders and to continue serving in his own local church. Moreover, that student can arrange his studies to fit his own schedule. The discipline required to maintain his priorities as he seeks to balance his varied responsibilities with his studies is the kind of preparation he’ll need for the ministry. What’s more, online instruction keeps the cost of a formal theological education manageable. For students who benefit from live instruction RBS offers two or three modular courses per year in different regions of the U.S. In some cases we’ve partnered with Midwest Center for Theological Studies to offer joint modules. Since 2005 we’ve offered the following courses in a live format: OT Theology (SC), Justification (KY), Pastoral Epistles (NC), Modern Church (SC), Reformation Church (MI), Biblical Counseling (KY), Evangelism & Missions (SC), Hermeneutics (WY), Holy Spirit (CA), Doctrine of Christ (SC), Polemics (KY), OT Introduction (KY), NT Introduction (KY), Eschatology (KY), Pastoral Theology (SC), and Preaching (CA). The last two modules are of special note. For the practical topics of pastoral theology and preaching we decided to enlist the collective gifts, experience, and wisdom of more than one instructor. Moreover, we incorporated formal Q&A sessions into the lecture schedule. This provided the students an opportunity to formulate important questions related to the topic and glean the complementary perspectives of the different lecturers. For the Pastoral Theology module we even gave an opportunity for Bob Selph’s wife and Donny Martin’s wife to share “perspectives of a pastor’s wife” so that our students would see the ministry from that angle. The module on preaching and teaching also featured multiple lecturers. Pastor Brian Borgman who earned a Doctor of Ministry from Westminster Seminary in the area of preaching gave the bulk of the instruction. He introduced the topic by stressing the need for a methodology of preaching that’s driven by a sound theology. Then he defined biblical “preaching” and “teaching,” identified the message we preach (the gospel and the whole counsel of God), discussed the relationship of law and gospel, assessed the strengths and weaknesses of redemptive-historical preaching, and argued for the primacy of expository preaching. The remainder of his teaching highlighted such topics as the “orality” of preaching, steps for preparing sermons, and sermon delivery (making a strong case for preaching with passion). Borgman’s lectures were complemented with contributions from Pastors Robby Briggs and Robert Elliott (two Scotsmen!). Briggs delivered three practical lectures entitled “Directives to Young Preachers,” and Elliott ably addressed the “timely” topic of “Contextualization and Preaching.” Both of these 2012 modules were captured in High Definition video. The pastoral theology modules have been edited. We’ve made them available to churches and to the public on our website without charge. This is our way of saying “thank you” to the churches that have prayed for and supported our ministry. We hope the lectures may also serve as a tool for training future leaders for ministry. We partnered with La Iglesia Bautista de la Gracia (Grace Baptist Church) of Santiago, Dominican Republic, to offer a 26 credit program to a group of about 35 to 40 local pastors. After participating in all the lectures, completing the reading, and passing the exams, 23 of those pastors graduated in 2007 with a Certificate of Theological Studies. Especially encouraging is the fact that three of those students continued their studies with RBS and earned the Master of Theological Studies. Moreover, they worked together with Oscar Arocha, the senior pastor, to commence their own residential church-based academy--La Academia Ministerial de la Gracia (AMG; “Grace Ministerial Academy”). RBS carefully reviewed their course offerings and agreed to accredit their own version of the “Marrow of Theology” program. Every year AMG invites a select number of men from various parts of Latin America and the Caribbean to participate in a nine-month intense training program that includes immersion within the life of their own church. Since AMG’s inception in 2008, they have graduated over 60 students, including several from their own congregation. What they learned from us they’re now imparting to faithful men who will be able to teach others also (2 Tim 2:2). In the same year that RBS graduated 23 Dominican students the seminary began a similar program in Bogotá, Colombia in partnership with La Iglesia Bautista de Gracia Soberana (Sovereign Grace Baptist Church). While the modules in the DR were held in a church, the modules in Colombia were held at a conference center with cottages for the students. This allowed the students the opportunity to become acquainted and interact with one another throughout the week. An average of 40 students, many of them pastors, attended the modules with 23 of the students graduating in 2010. In connection with the fall graduation service Pastors Guillermo Gómez and Jorge Castañeda organized a Pastors’ Conference that centered on the five “solas” of the Reformation. Over 200 attended and, as a result, over 50 pastors and aspiring pastors requested that RBS offer another round of the Marrow program in Colombia. Consequently, we began round two of the Marrow in Bogota in the spring of 2011 with Pastor Francisco Orózco teaching the Doctrine of Scripture. The subsequent modules have included Hermeneutics (Juan Pérez), Doctrine of God (Sam Waldron), Doctrine of Man (Orózco), Salvation Accomplished (Oskar Arocha Jr), and Pastoral Counseling (Oscar Arocha Sr). That leaves eight modules to go. Pastors Gómez and Castañeda also commenced offering classes during the week for pastors and aspirants who may not be able to make the modular training. RBS’s longterm goal is to equip adequately Latin American pastors so that they may eventually become the future trainers of subsequent generations. In summary, RBSI has completed two rounds of what might be termed “Phase 1” of the Marrow of Theology program: one in the Dominican Republic (2007) and one in Colombia (2010), with 23 graduates from each location. We’re currently offering another round of “Phase 1” in Bogota. In addition, RBS has partnered with AMG in Santiago DR to offer what might be termed “Phase 2” of the Marrow program both to local pastors and students as well as to promising young men from different parts of Latin America. To date 67 students have graduated from AMG’s program (2009-2012). The graph below compares the graduates from the two phases of the Marrow program. In addition to RBSI’s ministries and partnerships in Latin America, we’ve also established a partnership with the Copperbelt Ministerial College in Zambia, Africa, where James Williamson serves to teach and help administrate. Eighteen men graduated in the spring of 2012 and received a Bachelor of Divinity degree. Some of these men are continuing studies towards earning a Masters degree. RBSI also has connections with Reformed Baptist missionaries who are offering theological training in the Far East. Our overall income and expense levels appear to be on target. With surplus in the account from last year we expect to end the year in the black. Praise the Lord for his generosity and pray for his ongoing provision in the days ahead. Let’s move from retrospect to prospect. Below I highlight some of our plans and possibilities for future ministry. This October Dean Gonzales will deliver the lectures for part 2 of Old Testament Introduction as a joint module for Reformed Baptist Seminary and the Midwest Center for Theological Studies. In January 2013 Grace Baptist Church of Taylors, SC will host a module on Church Ministry, which will address the principles and methods for the church’s task of advancing the kingdom as it gathers for worship and scatters for ministry. We’ve tentatively planned a module for the late spring or early summer on the Doctrine of the Church, which will be hosted by Grace Immanuel Reformed Baptist Church of Grand Rapids, MI. Other modules we hope to offer soon include Calling & Cultivation, Man & Sin, Salvation, Biblical Theology, Genesis and other Bible electives. Lord willing, we hope to complete the second round of the Marrow program in Bogotá, Colombia in 2014. We’ve received a formal request from a church in Medellin, Colombia (whose pastor graduated from the early Marrow program in Bogotá) to offer the Marrow in that large and strategic city. Additionally, we’re received inquiries from Haiti and the Philippines. A new, upgraded “virtual campus” is under construction. “Live-streaming” is also an avenue of delivery we are investigating. Each new module we offer means updated audio and/or video. We have already begun to make some of our media available to the public. As God provides the funds, we hope to fill out our curriculum with new course offerings, update older courses, and make this media available to churches and pastors worldwide (perhaps in the form of an “app” for tablets and smartphones). We want to offer a special thanks to those who have supported the seminary with your prayers and/or finances. As we look toward the future, we’d like to entreat your continued support. If you’ve not been able to support the ministry in the past financially, perhaps you’ll consider supporting us in the future. If you’re not able to support RBS financially, that’s okay. We would, however, appreciate your prayers!